Follow this guide to learn more about adjusting the business settings to accommodate your business organization. The business settings allow you to create/upload templates for vendor emails, invoicing, purchase orders, and more. You'll also be able to upload a company logo, set your default currency, and create domains, roles, and project types relevant to your business organization. First, move your mouse over the Administration menu, then click on Business Settings. This section allows you to upload HTML email, purchase order, and NDA templates, which will customize the emails sent to vendors through FluencyFlow. This will help to create a seamless interaction between your organization and vendors. Select Client: Use this drop-down menu to select your desired client. Using the General option will allow you to use the same templates for all clients. Client Email Template: Download the included template file using the download button. Modify the html template to include any information you’d like clients to see, then use the Choose File and Upload buttons to locate, select, and upload the modified template file. Client Invoice Template: Download the included template file using the download button. Modify the html template to include items relevant to your business organization (e.g., company logo, business address, etc. ), then use the Choose File and Upload buttons to locate, select, and upload the modified template file. Note: HTML templates must remain in HTML format. Vendor Email Template: Download the included template file using the download button. Modify the html template to include any information you’d like your vendors to see, then use the Choose File and Upload buttons to locate, select, and upload the modified template file. Vendor PO Template: Download the included template file using the download button. Modify the rtf template to include items relevant to your business organization (e.g., company logo, business address, etc. ), then use the Choose File and Upload buttons to locate, select, and upload the modified template file. Note: HTML and RTF templates must remain in their original format. Vendor NDA: Download the included template file using the download button. Modify the html template to include any information you’d like your vendors to see, then use the Choose File and Upload buttons to locate, select, and upload the modified template file. *This template is for reference purposes only. Western Standard assumes no liability for the use of this template or any NDA arrangements between the company and vendors. Current Logo: This is where you’ll be able to assign your company’s logo and website URL. Use the Choose File and Upload buttons to locate, select, and upload your company’s logo image file. 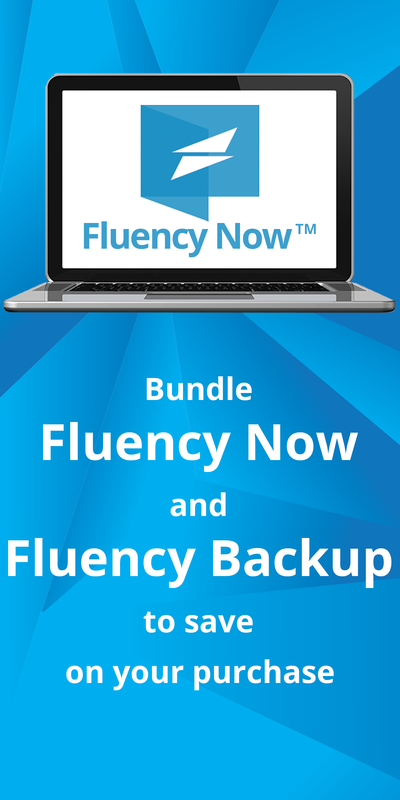 Once uploaded, the logo will appear in the upper left-hand corner of Fluency Flow. Navigate on click to URL: This allows you to assign a URL to your logo, allowing the user to visit your desired website by clicking on your logo. This is typically set to your business organization’s website landing page. New Domain: Before you are able to create a project, you must create domains that are relevant to your business organization. Domains can range from Medical to Academic, Legal to Scientific, or anywhere in between. Think about the type of translation projects you work with on a regular basis, which will be a good starting point. To create a new domain, type the name in the New Domain field, then click the Add button. The page will refresh and your new domain will now be available in the Domain list on the right. Domain: This is a list of domains available for use on new projects. This will be updated in real-time as you add/remove domains from it. New Role: As with domains, you must create company roles that are relevant to your business organization before you can create a project. Roles can include things like translator, proofreader, etc. Think about the type of translation projects you work with on a regular basis, which will be a good starting point for the type of roles you’ll need. To create a new role, type the name in the New Role field, then click the Add button. The page will refresh and your new role will now be available in the Role list on the right. Role: This is a list of roles available for use on new projects. This will be updated in real-time as you add/remove roles. Project Type: This is a list of project types available for use on new projects. This will be updated in real-time as you add/remove project types. Misc: This section allows you to select a default currency, which would be the currency you accept for payment on most projects. Once you’ve completed these steps, please move on to Getting Started (Part 2) – Workflow Settings.